Could your next cup of coffee kill you? That’s the subject of an ongoing legal case in California. Last year, a state judge ruled in favor of a group of lawyers that’s suing 90 coffee sellers across the state, including Starbucks. The lawyers claim the businesses failed to warn customers about the risk of cancer from coffee. Now, as you may know, coffee doesn’t cause cancer. Researchers at the Food and Drug Administration, the World Health Organization, the American Cancer Society and multiple U.S. health agencies have all verified that. Yet the legal battle rages on. It seems like something you’d see in a comedy skit. But for the small-business owners in California — and elsewhere — who are being sued, it’s no laughing matter. Read on to find out how lawyers are scheming up new ways to legally rob you. 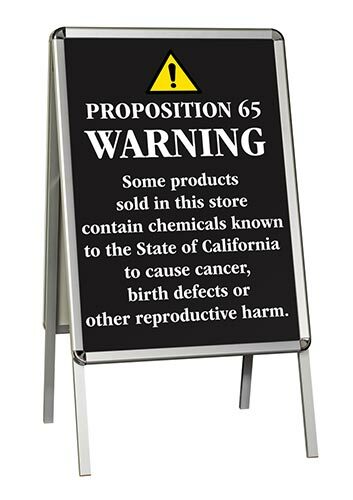 The lawsuit frenzy stems from California’s notorious Proposition 65. The law is intended to warn people about dangerous toxins. But it can apply to practically any chemical. French fries, potato chips, cookies, bread, breakfast cereal, fish and grilled chicken — and, yes, coffee — all have tiny amounts of chemicals. Dentists’ offices have chemicals. Hotels, restaurants, parking garages and amusement parks all have trace amounts of chemicals if you look for them. The problem is that the law requires businesses to provide proof that their products and establishments don’t cause cancer. That means hiring a toxicology expert, getting expensive tests done and paying insane legal fees. For most small businesses, it’s cheaper and easier to just settle the case and pay up. According to Prop65Scam.com, between 2000 and 2016, businesses paid more than $284.7 million to settle Proposition 65 cases. More than two-thirds of that money went to lawyers. The office of the California attorney general reported that one law firm received 147 settlements from Proposition 65 cases just in 2017. And these numbers don’t include the cases that actually went to trial. But what’s even worse is that this problem isn’t limited to California. Lawyers have started going after out-of-state businesses used by California residents, such as online retailers. The Center for Accountability in Science found that between 2010 and 2017, businesses in New York and New Jersey paid a combined $31.6 million settling Proposition 65 cases. One company in New Jersey had to pay more than $1 million. Florida, Illinois, Ohio, Pennsylvania and Texas all had more than $5 million in Proposition 65 settlements. It’s crucial that you keep up with the latest legal news and arm yourself with the most up-to-date legal information. After all, you can’t just wait until you’re sued and then hope that the American justice system will protect you.